Leonid is a medical doctor, entrepreneur and management consultant and oversees Candesic's corporate and commercial due diligence work. He consults Private Equity firms, Corporate Operators, and Government Organisations in the areas of healthcare, technology, and communications focusing on strategy, marketing, and organization. 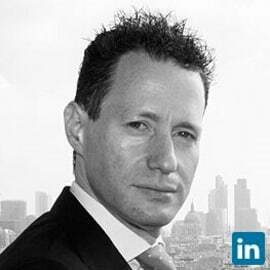 Prior to founding Candesic, Leonid was a senior consultant at McKinsey & Company, London, working heavily in healthcare and technology. He has also consulted to Hewlett-Packard in medical imaging product development. Leonid’s entrepreneurial ventures include being COO of a $126m software company and CEO of a telecommunications firm. He holds a D.Phil. from Magdalen College, Oxford in Radiological Imaging, a MD from Duke University in North Carolina, an undergraduate degree in Physics from Cornell University and is fluent in Russian and English.